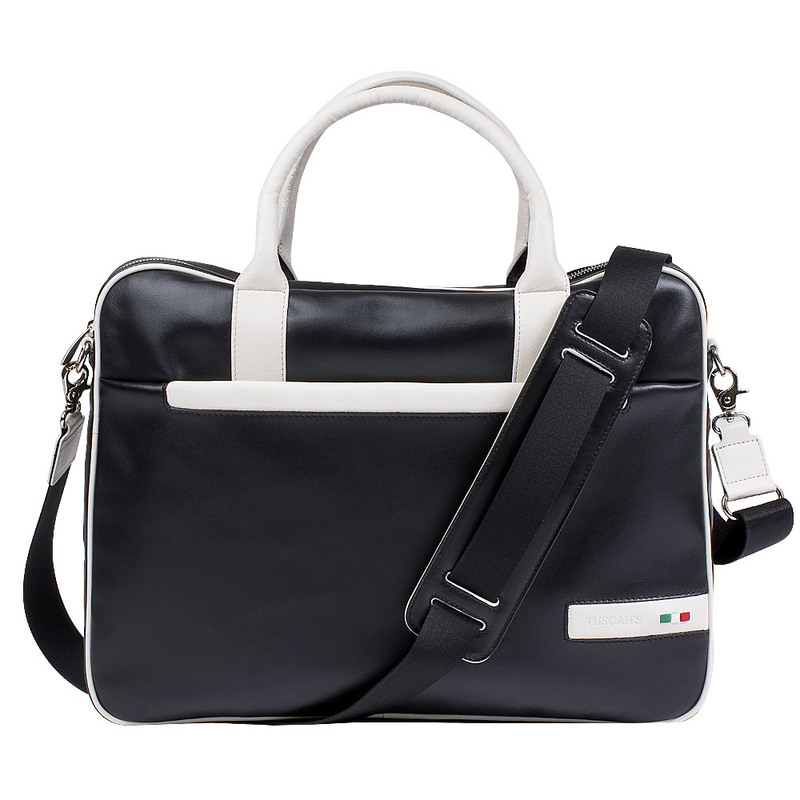 With its contemporary design and elegant contrasting colors, Thun is your ideal work companion. 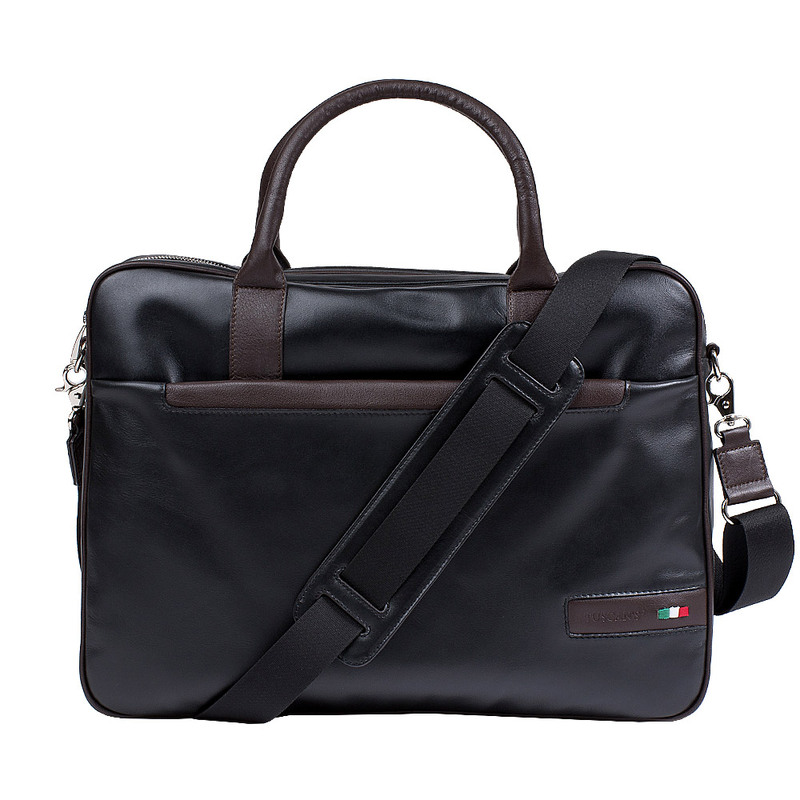 A youthful full grain leather briefcase, to easily carry both with the leather handles or the adjustable strap in woven fabric. 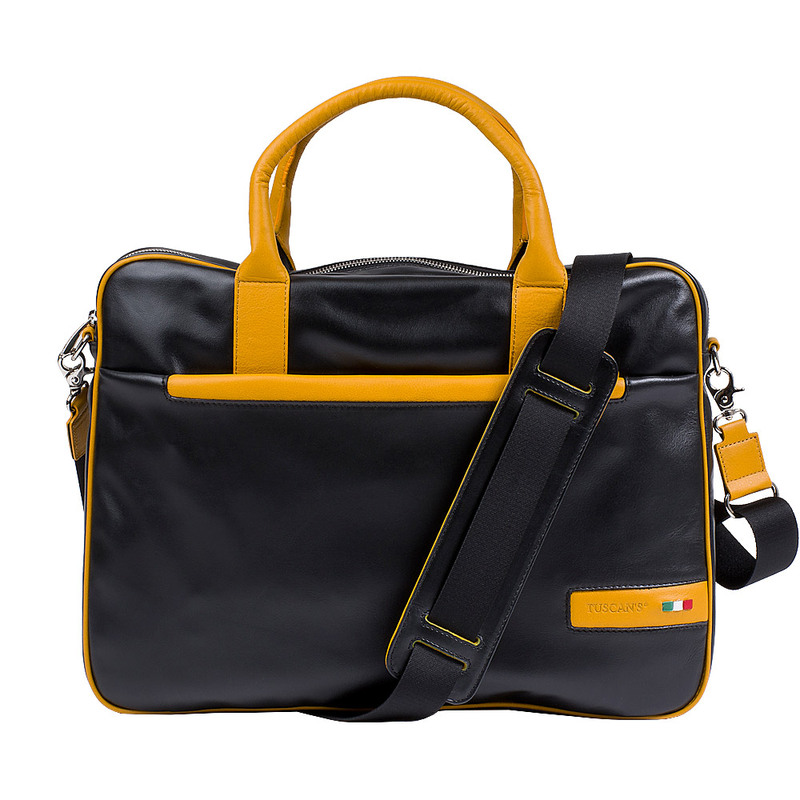 One can perceive the Italian design in the particular shapes and colors that have been chosen, these denote the attention paid to contemporary needs. 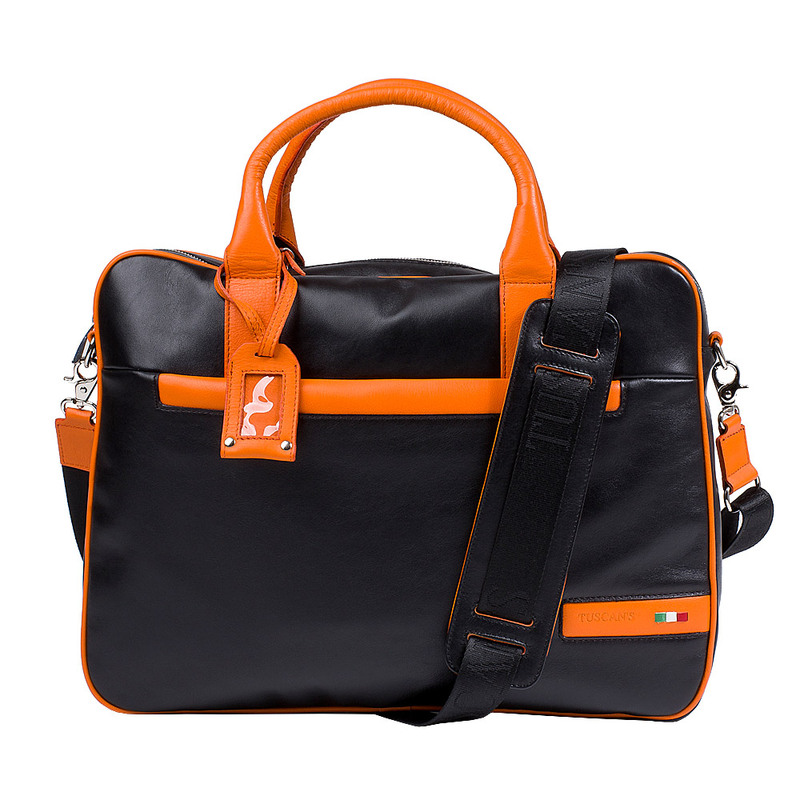 In fact, as for the majority of Tuscan's bags, it has an earphone cable hole, multifunctional pockets which include a usb stick pocket and a padded pocket for your pc or tablet.